Hello guys, today let’s take a look at the Inferno Dragon, one of the most underrated cards in Clash Royale. In this page, you can find everything relating to this card, from basic information to the best tips strategies for him! Basically, the way Inferno Dragon works is just like the Inferno Tower. They have the same the same attack mechanic. Don’t ignore the Inferno Dragon. 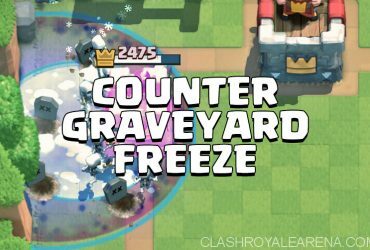 It can shred your Tower in seconds If you don’t have either Zap, Lightning or Ice Spirit to reset his target. His attack range is 2 tiles shorter than the Inferno Tower. His movement speed is also very slow. Once it has locked on the target, it won’t chase the target. Once the target runs out of range, his Inferno Charge is disrupted and it has to re-engage. 15/12/16, increased the Inferno Dragon’s hitpoints by 5% and decreased its re-targeting time by 0.4 seconds. 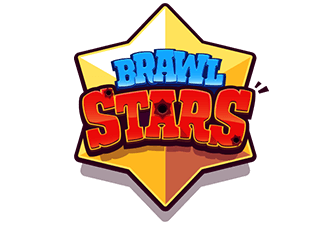 12/6/17, increased the Inferno Dragon’s hitpoints by 7%, and decreased its re-targeting speed by 0.2 seconds. 12/2/18, increased the Inferno Dragon’s re-targeting time. 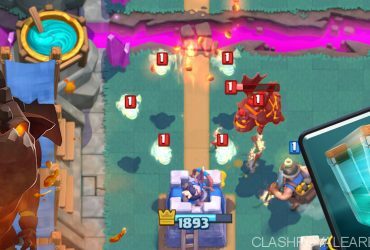 Load Time is the time Inferno Dragon needs to lock onto a new target. For example, Musketeer’s Load Time is 0.6s. Update: New Inferno Dragon Guide shared by VriskyS! Never use only Inferno Dragon to defend. This may work some times but the popular Lightning spell and Mega Minion can easily stop your Inferno Dragon. Never use an Inferno Dragon without a reliable splash/high DPS card, which can kill both ground and air unit and can’t be killed by Fire Spirits, Arrows or Zap, which is more than a Mega Minion on support. Watch your opponent’s move and memorize the hard counters to your Inferno Dragon. They usually are Lightning, Ice Spirit, Ice Wizard and Zap. First of all, as mentioned in the first two rules, avoid leaving your Inferno Dragon alone. Always try to protect him with couples of spells or troops. Don’t let your Inferno Dragon come under fire from the enemies and don’t always think that he could kill a 1/2HP Giant in 2 seconds. Keep track of your opponent’s cards. A single Zap can give your Tower tons of damage. On offense, you shouldn’t expect him to reach the Tower too much. 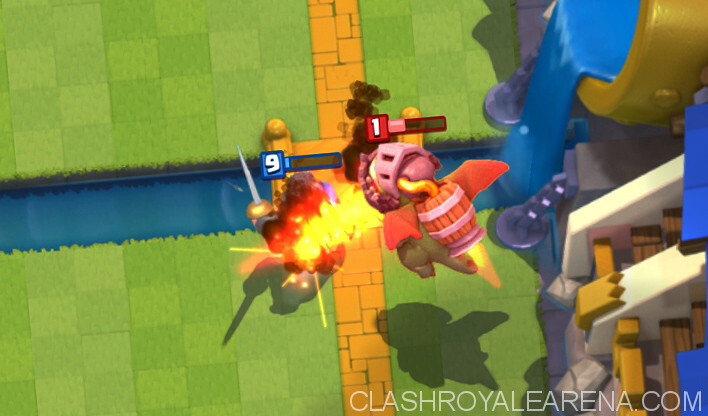 If you use the Inferno Dragon on offense, your opponent will almost always panic then start throwing lots of troops around him. Take the advantage of this dude! My favorite move is to use predicted Arrows/Fireball. Describe the functions of combinations you will take when use Inferno Dragon on offense. Drop your tank down at the back. I usually try to avoid coupling Inferno Dragon with Golem as his slowness would make the Inferno Dragon fly over head and die, or make you low on Elixir to play support. Giant, Lava Hound or even a Miner would be nice! Play support troops behind the Giant. Air supports are the best kind I want to play as they force my opponent to use his precious air-targeting troops. Make sure your support troops are always behind the tank. If your push is completely shut down, try to see what happened. Which is the main defensive factor shutting down your push? If it’s an Inferno Tower, try to play a few cheap troops in front of the tank, or you can use Lightning to hit the Inferno Tower and defensive units nearby. They separated your troops? Try to place your troops closer. Never place your Inferno Dragon down too early. Wait until the tank come close enough. Don’t hesitate to sacrifice a few Elixir to defend and cycle to your Inferno Dragon (place your tank down, use Arrows/Log, etc.). 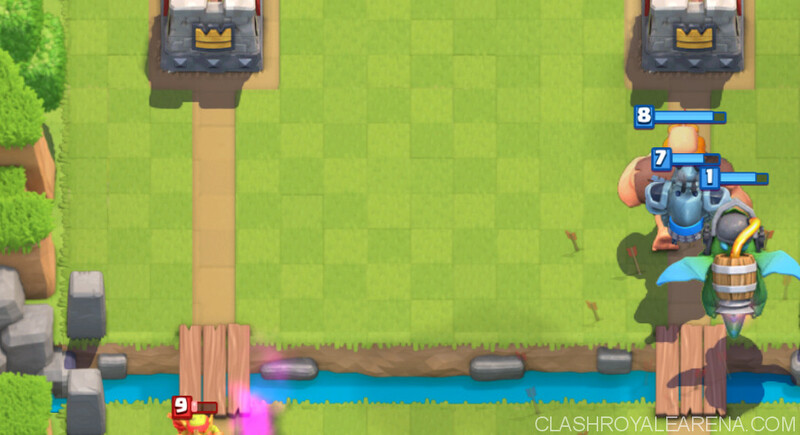 It’s also great to place your Inferno Dragon close to the King’s Tower so the opponent supports will find it very hard to get to him. 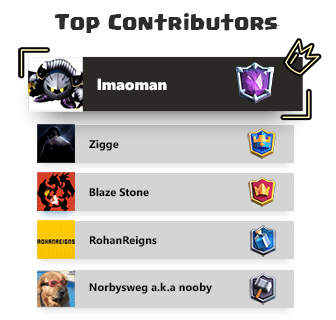 Support your Inferno Dragon with Mega Minion, Minions, Wizards, Bomber or whatever you have. Try to protect your Inferno Dragon from Musketeers, Mega Minion… They can take out your Inferno Dragon in just a few hits. After the Inferno Dragon take out the primary tank, use either troops or spells If the opponent still has troops left. But If it’s a Musketeer or Wizard, just let your Inferno Dragon and the Tower get the job done. Slow push, place the Inferno Dragon here to start a push up. Anyway, it’s better to place your Lava Hound here. Place the Inferno Dragon, do the timing well to get him stuck behind a Lava Hound (which is placed at the #1 spot). Directly behind the King’s Tower and slightly to the left/right, depending on the lane you are pushing. I like to use this spot when I need to cycle to another card to defend. I don’t recommend using this spot on offense because it drags him to the middle instead of directly behind a tank, making it’s easier to pick him off with support troops. This is my favorite defensive placement. Placing him here makes it harder for flying troops such as Mega Minion or Minion Horde to stay behind the tank, and this gives Inferno Dragon a bit more time. This makes it much harder for the opponent to nail both the Tower and the Inferno Dragon with a Rocket. Counterpush and offense. Place him here when your tank and support troops reach the bridge. Ultra offensive. 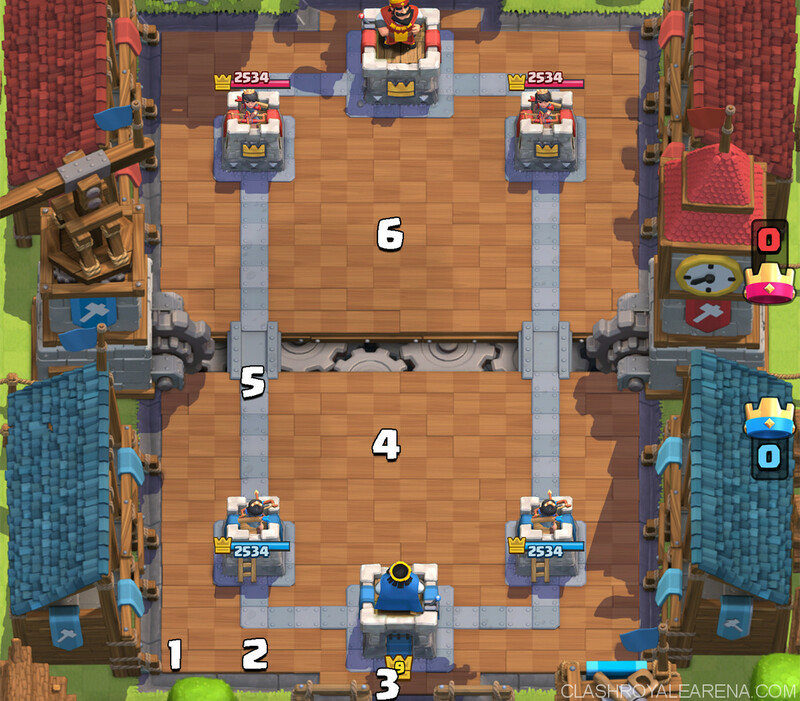 Place the Inferno Dragon here when you have taken out 1 Tower and want to reinforce your push. Sometimes I drop the Inferno Dragon here to quickly take out the opponent’s poorly placed tank. Which decks should I use? Support Spell (Zap, Arrows, Log, Fireball). I forgot the last spot… Oh it’s the Inferno Dragon of course! Beside the Inferno Dragon, make sure you have at least 2 air targeting troops, and Mega Minion should be one of those two since he is pretty OP at the moment. Or you want find some great Inferno Dragon decks shared on Clash Royale Arena at here. Below are the most popular decks at the moment. I am going to show you how to counter them with my Inferno Dragon decks! When your opponent’s tank is about to reach the river, play your Inferno Dragon in the center, use your troops and spells to take out his supports. Use Lightning if you can hit 3 core troops. Remember, you always can use your tank to soak damage and let your Inferno Dragon to take out his tank. If you have a defensive building, place it in the center to pull the Hog Rider, then you can use your support troops (If needed). Most of the time, your opponent will use a Ice Spirit supporting the Hog so be aware. If there is a Musketeer, don’t use your Mega Minion. If there is a Valkyrie, you can play Inferno Dragon to take them out. If he plays Miner, use Mega Minion or Skeleton Army/Guards to deal with it. Analyze their decks and tactics. Save your Log/Arrows to deal with Goblin Barrel/Miner pushes. Arrows can be saved to deal with Minion Horde or even the 3 Minions. If they play Graveyard, use your ground support directly in the middle of the spell. You can also use your slow tank to distract those Skeletons. Top 10 Cards To Clone!